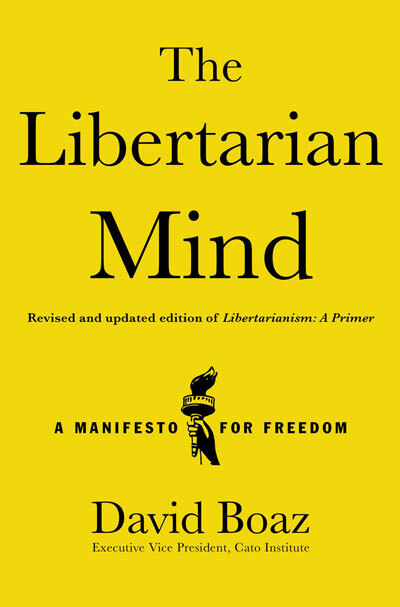 This week’s book of the week is David Boaz’s “The Libertarian Mind: A Manifesto for Freedom.” People often wonder what it means when someone describes himself or herself as a libertarian. And that includes people like Rand Paul, Alan Greenspan and Peter Thiel. David Boaz does a superb job of explaining the ideas that animate an important philosophical tradition, and he does it with passion. For anyone interested in politics, this is a valuable resource and a well-written book. The show ran last Sunday, so today is probably the last day of its reign as “Book of the Week.” Buy The Libertarian Mind today.